Last month I visited Arrowtown and Wanaka for the first time. All for work but it was hard to miss the amazing scenery and even in meetings, spectacular views were found from almost every office window. 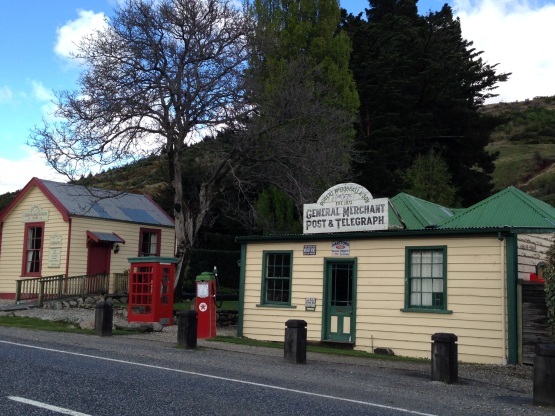 Arrowtown is a charming riverside town steeped in gold mining history. 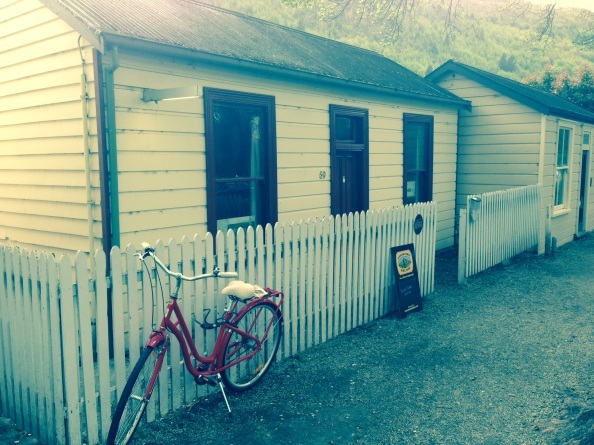 Well-preserved cute cottages and overhanging shop fronts reminiscent of an old western town is the main drawcard but the best way to explore this area is to hire a bike from Arrowtown bike hire and discover both the town and surrounding nature at a leisurely pace. The Lakes district museum will answer all your questions and here you can rent a gold pan to try your luck searching for the next big nugget. Just this year a gold nugget was found estimated to be worth close to $10,000! You can view it in the Gold Shop on Buckingham St.
Once you’ve worked up an appetite It’s hard to beat the Arrowtown Bakery for their fresh baked pies. I tried the lamb and mint and it was amazing. There is plenty of accommodation in Arrowtown and an overnight stay will ensure you have your best chance at striking gold! 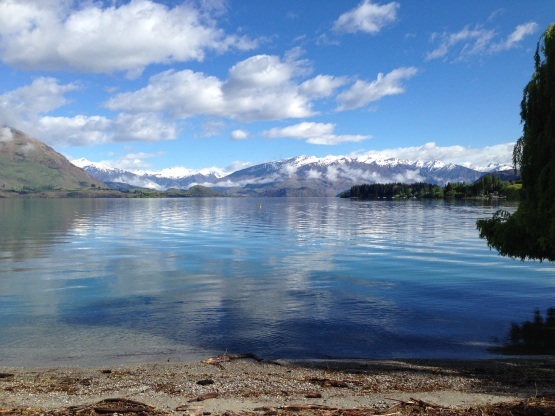 Wanaka is just over an hour’s drive from Queenstown and its simply stunning. Driving over the hills on State Highway 6 will take you on the steepest gradient on a highway in NZ! 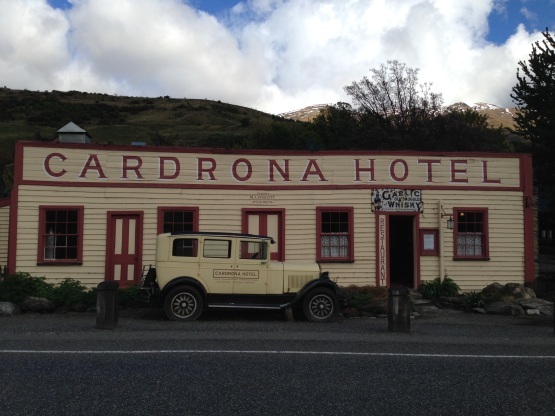 Look out for the photo opportunity by the historic Cardrona Hotel, one of NZ’s oldest hotels about halfway between Queenstown and Wanaka and if you want to stay for the night you can’t go past Benbrae, where you can enjoy a pizza and Patron after a tough day’s sightseeing. Lake Wanaka is not as deep as Lake Wakatipu in Queenstown so it is possible to swim in it during summer without freezing your bits off. 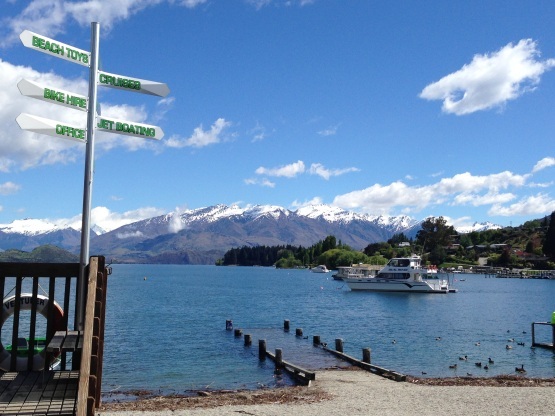 There are a number of ways to enjoy the lake with a host of kayaking and boating options available from the i-SITE on the shores of Lake Wanaka. Alternatively if you are happy to just sit and be inspired by its serenity and beauty why not stop at the Edgewater Resort for a freshly baked scone. Choose either savoury or sweet from their extensive scone menu. You heard right – scone menu! If you want to ensure your stay in Wanaka has a guaranteed lake view, every room at the Edgewater resort has exactly that. 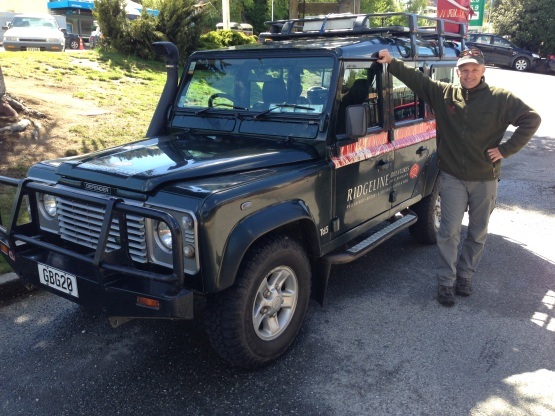 Ridgeline adventures offers 4WD tours through the mountains surrounding Lake Wanaka and owner Mark Orbell will know just the right spot to get that perfect shot of the lake at sunset. It’s not possible to visit some of these places without permission so a 4WD tour is the ideal way to experience nature and scenery without all the crowds. Overall Arrowtown and Wanaka I found offers peace and relaxation in a magnificently inspiring setting. Whether you have a day or a week, these places should be at the top of your list. Plus it’s easy to see why many business owners who were just visitors to these towns, were so charmed, they never left!